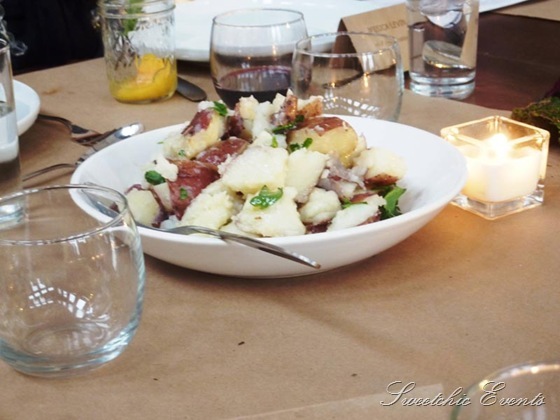 Pure Kitchen Catering: Yummy Tasting Event! — Sweetchic Events, Inc. 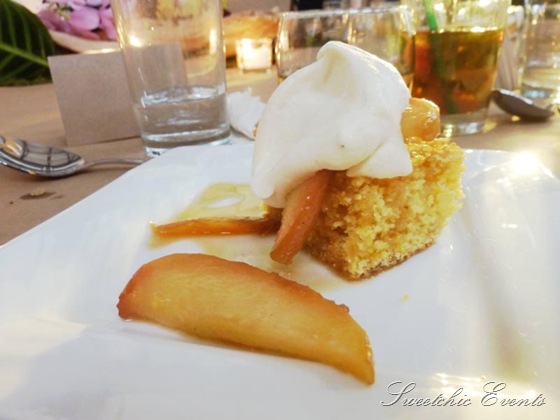 Pure Kitchen Catering: Yummy Tasting Event! One of the best perks of my job is that I get to attend fun industry events and eat lots of delicious food! 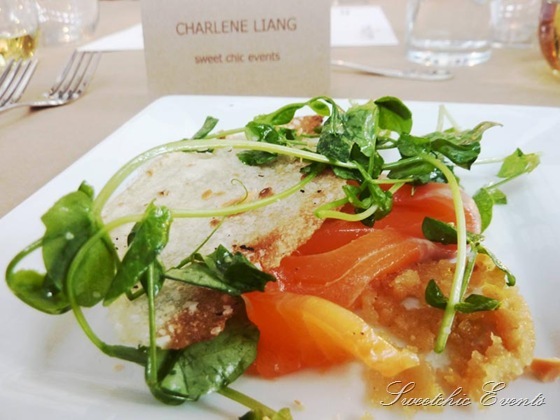 :) Yesterday I had the pleasure of attending a tasting event hosted by one Chicago’s newest catering companies, Pure Kitchen Catering, who focuses on seasonal, local and organic cuisine. 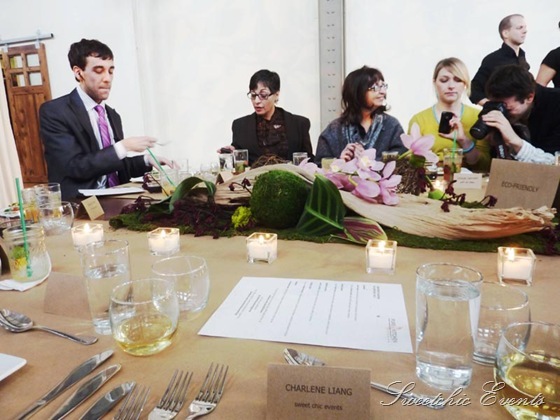 The event took place at Kitchen Chicago, a new shared-use kitchen space/venue that can also be rented for events! We were welcomed with yummy strawberry mojitos and a gorgeous tablescape. Cured lake trout, pea shoot-mint salad, roasted almond vinaigrette, and grilled pizza crust. I thought this looked like smoked salmon, but it was SO much better! 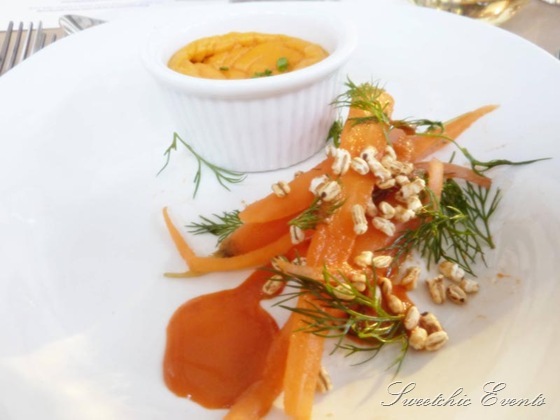 Carrot soufflé, baby carrots, picked red onion, dill, puffed rye berries. I’ve never had carrot soufflé, so I didn’t know what to expect… but I scraped my ramekin clean and wished there was no one around so I could lick the bowl, hahaha. 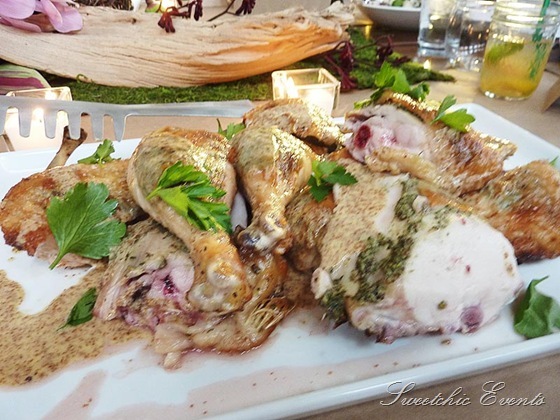 Time for the family-style main course: Whole roasted chicken with oregano-thyme rub. I’m not a huge fan of chicken and never usually order it at a restaurant, but WOW, seriously tender and deeelish!! 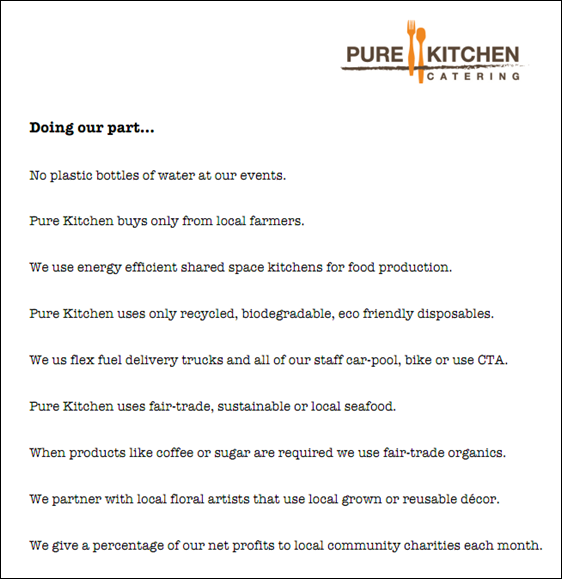 What makes Pure Kitchen Catering so unique? I think their whole philosophy on keeping things local and eco-friendly truly sets them apart. 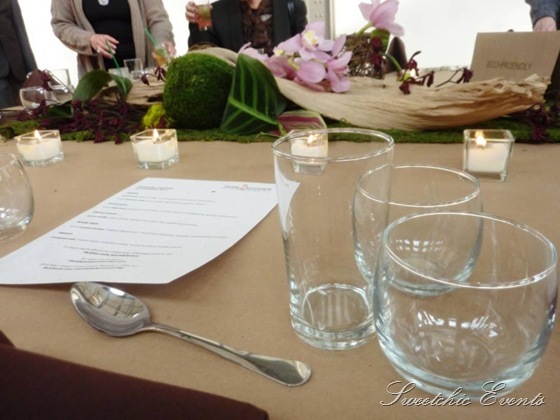 What are your thoughts on eco-friendly caterers?